Sleep Apnea affects people of different ages, genders, and body types, so treatment should be considered on an individual basis as some patients will respond better to certain treatments than others. 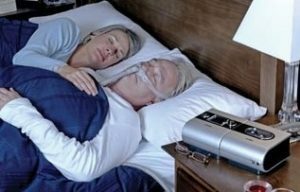 The most common forms of treatment for Obstructive Sleep Apnea are CPAP therapy and oral appliances, however, Central and Complex Sleep Apnea require often different and more in-depth therapies. 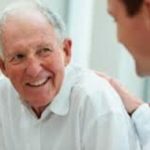 Talk to your doctor about what therapy may be best for you, and feel free to browse our library for information on common treatments, or look at our page on the NuSleep oral appliance to see if you may be a candidate for a revolutionary new technology. 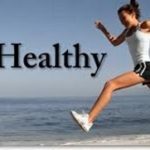 Things that you can do to help with sleep apnea.Weight Loss can help to decrease your risk for sleep apnea. Excessive abdominal weight results in an inability for your diaphragm to effectively move air while you sleep. The chest muscles are recruited to help in breathing. These muscles are quite strong and result in a forceful movement of air. 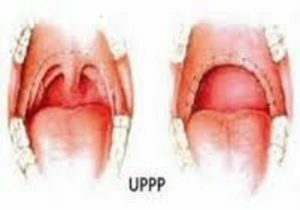 Snoring develops from the excessive movement of the soft palate and uvula. If the flow is great enough or the muscles relaxed enough, the tongue can fall back into the throat, blocking the airway. Reducing the size of your neck via weight loss can also help to reduce airway collapse. When you lie on your back, gravity can reduce respiration especially as the muscles become relaxed. Decreasing your neck size will reduce the chance of airway obstruction. Fat cells in the neck increase the weight of the neck and likelihood of collapse. A neck size of 17 inch in a male and 16 inch in a female results in a greater risk for sleep apnea. Alcohol consumption will increase the risk of sleep apnea. As a sedative it results in excessive relaxation of our muscles. This increased neuromuscular flaccidity adds to the collapse of the tongue and neck during sleep. Excessive consumption can also result in weight gain and further reduction in airflow. Smoking results in increased inflammation of the tissues of the upper airway. The Larynx and Trachea become swollen and can restrict the flow of air. Nicotine causes paralysis of the tinny cilia that moves the mucous through the lungs and sinus. This will also lead to an increased in respiratory resistance. Therefore, smoking is a risk factor for sleep apnea. Quitting will reduce your risk. This is a machine that consists of a simple pump that flows air into a mask that is worn over the nose and/or mouth. It is designed to pressurize your airway so that when you exhale the passage remains open as a result of this pressure. You can get a sense of this if you ever inflated air mattress. When you exhale into the valve it becomes harder to push out the air as the pressure in the mattress increases. The same is true when the setting on the CPAP machine is increased. When set properly, it can results in complete resolution of the Obstructive Sleep Apnea. The APAP still pumps air through a mask worn over the face. However, this machine will adjust the pressure you receive by averaging the pressures needed during your preceding breaths. In theory this automated device sounds as if it better mirrors the changing requirements of one’s lifestyle. If you gain weight the machine will adjust for it and provide increased pressure. Too much alcohol and again it will provide more pressure. Generally speaking the pressures that it provides are the same for both inspiration and expiration. It does not function as a BIPAP. Most patient that use CPAP/BIPAP do not find that their pressures change very much. Even with excessive drinking or moderate weight gain. Some patients find a lag in pressure from machines that are automated. Especially in patients requiring high pressures, the CPAP is frequently more comfortable. Volume Controlled Ventilation can be setup to just assist the patient’s ability to breath or it can do the work for them. 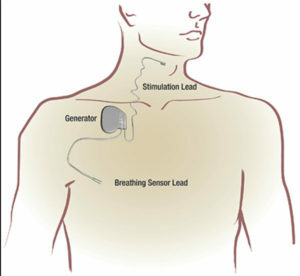 This type of device is indicated for patients that have severe restrictive pulmonary conditions or for those with underlying neurological diseases. COPD or Stroke patients may require the machine to determine when to breathe or how much volume to inhale. Your sleep doctor will decide when this treatment is appropriate. 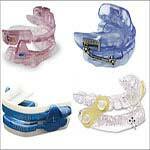 If the patient is suffering from Central Sleep Apnea or a Mixed type, this device can be extremely helpful. 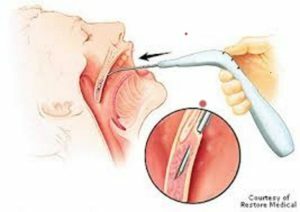 Oral/Dental appliances are designed to open the airway by suspending the tissues that are responsible for most of the obstruction; namely the tongue. Since the tongue is attached to the under surface of the jaw, moving the jaw forward restricts the tongue’s ability to fall back into the Oral Pharynx. This concept is not new. It is taught to you if you have ever take a CPR course (Cardiopulmonary resuscitation) or watched an anesthesiologist put someone to sleep. CPAP does the very same thing but instead of changing the jaw position it uses air pressure to support the tongue forward. 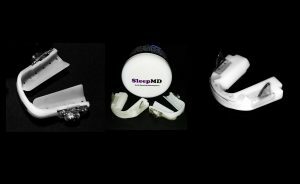 The SleepMD appliance is a customizable device designed to advance your tongue without causing jaw discomfort. It is fully adjustable and but does not requires a professionql to properly fit it. SleepMD can be fitted in the comfort of your own home. Surgery is usually considered the last treatment option and should most certainly be when considering it for Obstructive Sleep Apnea. Most of the surgeries listed below are less successful in treating apnea then they are in controlling snoring. They are most successful in patients that have very mild OSA despite the severity of their snoring. Uvulopalatopharyngoplasty. This procedure is best indicated in patients that have large tonsils and a long soft palate. The surgeon performs the surgery under general anesthesia in an ambulatory setting. The tonsils are excised and the soft palate shortened. The result of the surgery is to create more space behind the tongue and oral pharynx. The post-operative discomfort is extreme lasting around 10 days. Pillar Procedure. This procedure is not indicated for Obstructive Sleep Apnea. It is designed to help snorers that do not stop breathing. The surgeon places strips of non-reactive implant material into the soft palate. Since there is limited tissue injury, less soft palate retraction develops. The goals is to stiffen the palate, thereby reducing snoring. Post operatively, there is much less pain experienced. This is a minimally invasive procedure that involves placing an electrode in the neck around the nerve of the tongue. You sleep with stimulating device that provides mucular contraction during the night. This reduces the chance of the tongue fall back and obstruction the airway. Results suggests approximate 75% reduction in obstruction and snoring. This procedure sequres the tongue by passing sutures through the base of the tongue and suspends it to the bottom of the jaw. It can be quite sucessfull as well.